If you are a Bitcoin enthusiast, you’ve probably heard about Bitmain – one of the oldest companies in the world of Bitcoin mining. Founded in 2014, Bitmain has proven that its undisputed leader in this industry and it doesn’t look like it’s stopping anytime soon. Thanks to its ASIC chip technology, it has managed to continuously take on the task of producing hardware that goes head to head with the increasing difficulty of Bitcoin mining. Taking full advantage of Moore’s Law in engineering and designing its chips to release world’s most power-efficient Bitcoin miners, Bitmain is undoubtedly a household name in the digital currency world. With its headquarters in Beijing and offices in cities around the world, Bitmain has put together a team of professionals that stay devoted to maintaining efficiency of their ASIC chips round the clock. With Jihan Wu as the CEO, it has gone ahead to produce a variety of Antminers ranging from the S1 in the early days to the S9 (the most recent one). 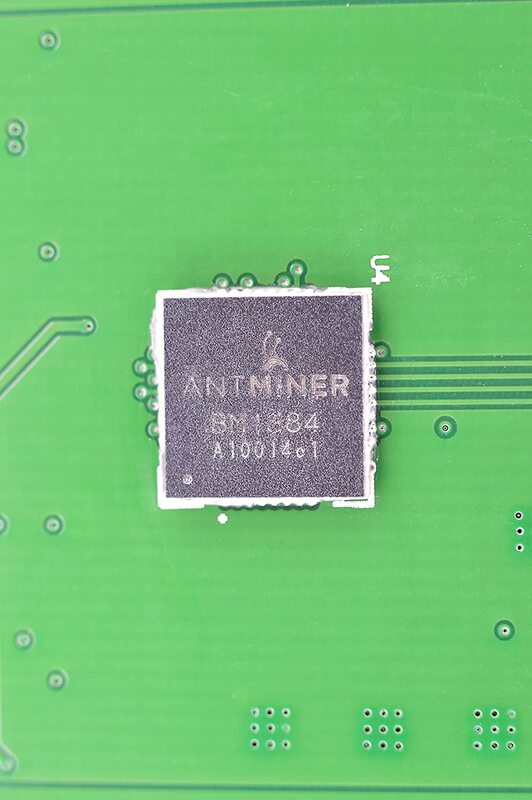 The Antminer S5 is one of the products in Bitmain’s Antminer line, specifically developed to deliver power efficiency as well as considerable hash rates to individual miners. The hardware is preferred by many because its low-priced, has a low power demand, and its suitability for those looking to learn and experiment. Compared to its predecessors, the Antminer S5 brings lots of improvements in terms of increased harshrate and efficient energy consumption. Since its release back in 2014, there are obviously other faster and more efficient miners that have been released by Bitmain such as the Antminer S9, but the Antminer S5 still has its place in the world of Bitcoin mining. If you are a hobbyist miner running on a budget and with access to cheap electricity, the S5 can still be a good idea to start with. Imagine being able to use your old PC’s power supply to mine bitcoins, wouldn’t it be great? 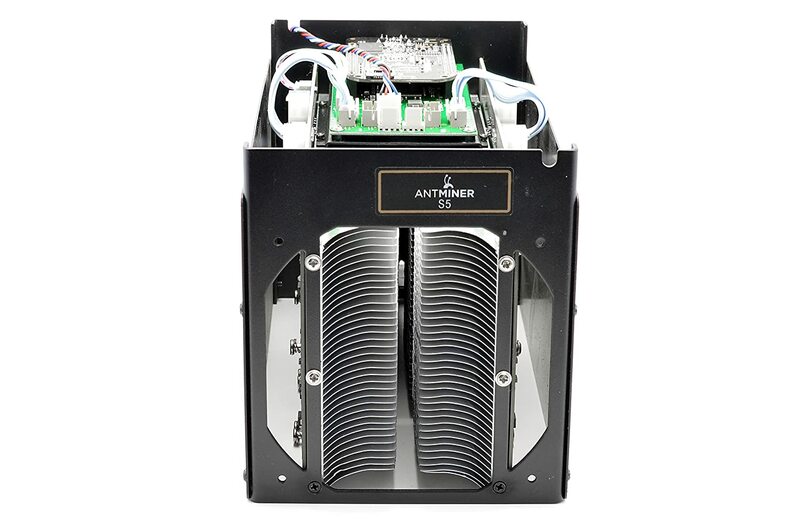 Well, the Antminer S5 uses between 560 to 590 watts at about 115 volts allowing it to run with zero technical glitches. With the S5, configuring and mining from any pool or even upgrading the firmware during a set up is quite easily done. In fact, it automatically puts out a search for an IP address while allowing you to take full advantage of its intuitive control panel. Furthermore, with the MinerLink software, you get full permission to check out the status of your miner just to stay on top of things. Maintenance is a big deal when it comes to mining Bitcoin. Fortunately, the Antminer S5 makes this process bearable. With its onboard temperature requirements being set to be below 800 C/ 1750F, you can easily maintain your S5 by keeping it at a low operating temperature and overclocking it whenever necessary. Although the current difficulty levels of mining bitcoins have increased, the S5 still makes a profit of about 0.01335 bitcoins per day with an F2Pool. This can earn you a profit of about 3USD per day on a low budget. 1. What do I need to get started with Antminer S5? As an individual miner, things can get a little out of hand. But getting started with an Antminer S5 can be pretty straight forward. All you need is a modular power supply that you can get from Amazon or other retail sites and patch cables to get you connected. 2. How do I configure my setup? 3. Can the beep sound be turned off? Unfortunately for the S5, this beeping sound cannot be turned off, but don’t worry because you can easily navigate to the miner configuration to set the “ Beeper Ringing” to false so as to reduce the frequency of the beeps. 4. Can I change my login password? Well yes, you can. You can easily do this by going to the System tab and navigating to “Administration”. Then enter your current password before changing it to the new one. 5. How can I get the latest Antminer S5 firmware? 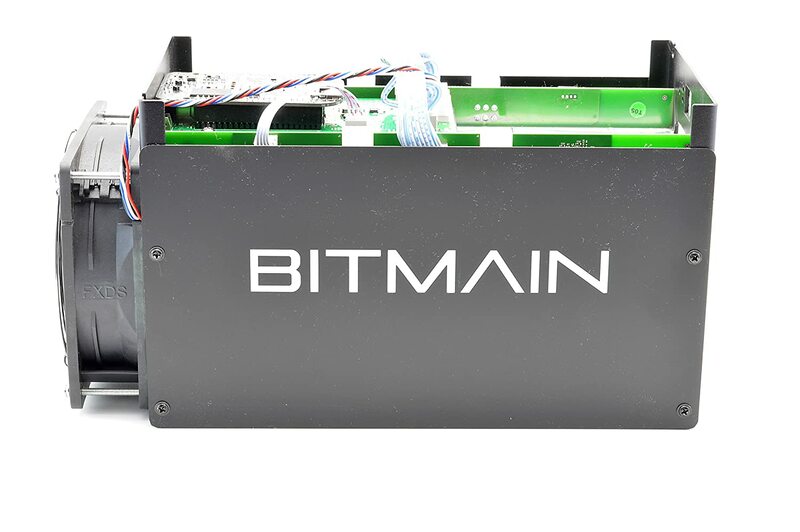 To keep your miner at its best performance it’s important to keep it updated with the latest firmware from Bitmain. You can easily upgrade by visiting Bitmain.com. 6. How is the casing of the S5? The Anminer S5 measures 300mm x 137mm x 155 mm and comes in a plastic casing that makes it lightweight (at only 2.5Kg/6.5lbs). With an open top and bottom, its design enables sufficient air flow to be supplied over the mining board. Plus its design makes good use of the thick aluminum heat sink, keeping the hardware cools. 7. What temperature is recommended? Without a doubt, lower temperatures keep any miner at its best and the Antminer S5 is no exception. If you want to get the best hash rate aim for temperatures lower than 500 C for a prolonged lifespan of your hardware. 8. How much noise is produced? 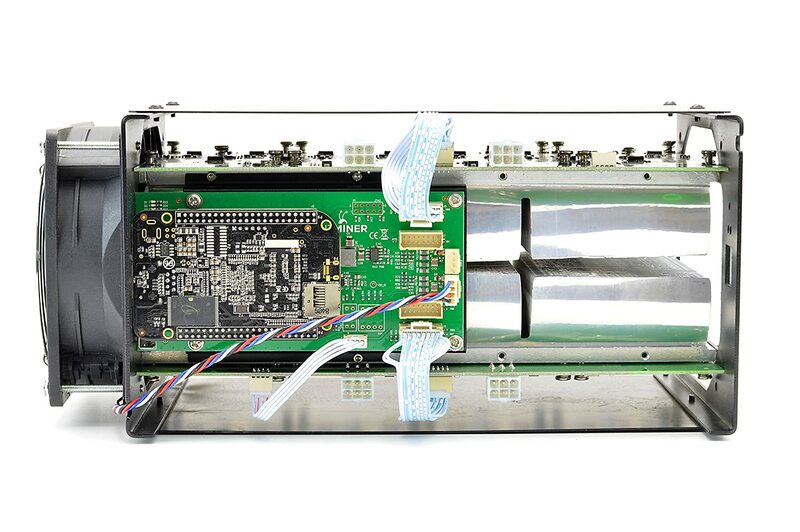 Frankly, like most miners, the Antminer S5 produces a fan noise that most users have compared to an industrial vacuum. If you have it in your living room, you will definitely get irritated easily. However, a great solution to this problem is to replace the 120 mm fan with a 75-decibel fan that is a lot quieter. You can also store it in the garage to keep it out of your living area. 9. How many bitcoins can I mine? There are a lot of factors that influence the amount of bitcoins you can earn in mining activities. First of all, you have to think about your cost of electricity, with cheaper costs translating to higher mining returns. You also have to consider the mining pool you get into but don’t forget that profitable mining pools charge a fee. Finally, the difficulty of Bitcoin mining plus the market price of Bitcoin also have a huge influence on how much profit you can generate from individual mining. However, for beginners in the mining game, the Antminer S5 is a brilliant way to gain experience of how mining actually works. Although its profits are low, it can be a significant improvement to those starting out with Bitcoin mining. 10. Where can I buy it? Great question! If you want to get yourself an Antminer S5, there are a couple of eCommerce stores online that can deliver it to you at competitive prices. For instance, you can head over to Amazon or eBay to make a purchase.